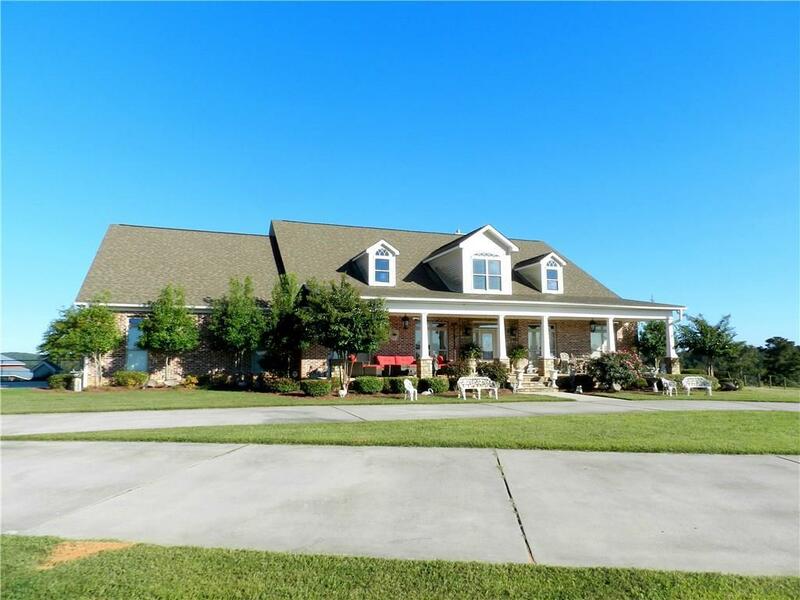 Builders own 64 acre farm with 4 sided brick home. Many upgrades in this builders home. 2 homes in one: main floor has 3BR/2BA, lrg family room w/ built in cherry cabinets, kitchen w/ ss appliances, tile floors, formal dining, hardwoods:family, dining, master. Huge master suite, master bath w/ sep tub/shower, tile, cedar closet. Library off master. Upstairs: 2nd(large)master bedroom, master bath w/ tub, tile. Family room, another bath & bedroom, stubbed for kitchen. Entrance from garage or inside home. 3 bay garage. Fenced in backyard, barn w/ stalls, office, etc.